Due to Apple restrictions, this copy of WhatsApp does not include iCloud features. This means than you will NOT be able to restore your old chats, you will NOT be able to backup new chats and you will NOT have your contacts synced with iCloud. Warning: Uninstall original WhatsApp app first! 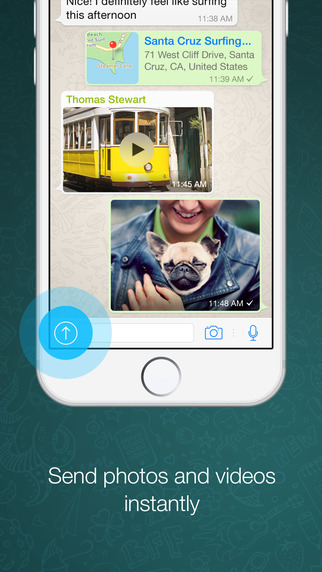 WhatsApp+ by Unlimapps : Bringing the most-requested features to WhatsApp. - Stealth Mode: Hide your Last Seen and Online status from others. - Disable Read Receipts: Others won't get blue ticks when they send you a message even though the message gets read. - Disable Delivery Receipts: Others won't get a double-tick when they send you a message even though the message gets delivered. 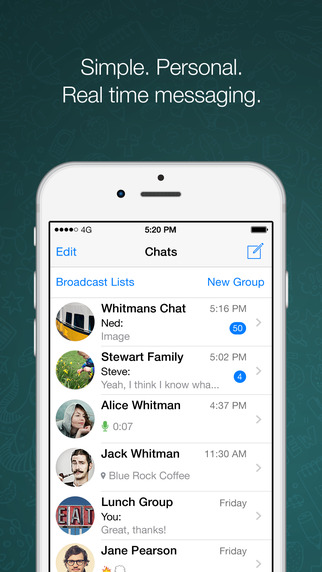 - Custom Theme: Change the overall color of your WhatsApp. This will become much more customizable soon! 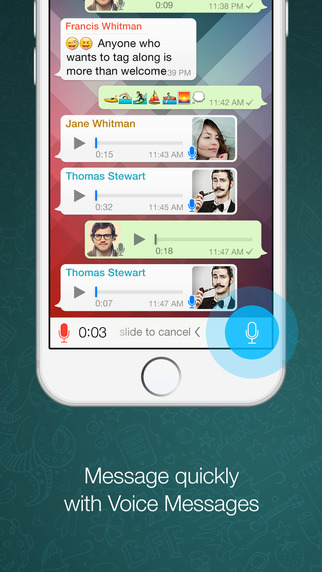 - Custom Text Color: Change text color in chat bubbles. - Full Profile Pic: Ability to add your profile picture without having to crop it. - Send Unlimited Media: Send more than 10 media (Photos, videos, etc...) at once. - Share Music: You'll finally be able to share DRM-free Music using WhatsApp. 1. Note that if you hide your status, because of the way the WhatsApp servers work you will not be able to see others last seen. 2. Note that if you disable delivery receipts, WhatsApp servers will not know you have gotten the messages so they will keep sending you notifications. This tweak blocks those notifications but they are still being sent in the background. Compatible with iPhone and iPod Touch. Requires iOS 8 or later.